It's beginning to look a lot like Groundhog Day will bring a six more weeks of winter forecast. As February arrives, a blitz of wet white snow (not red Cupid arrows) fell upon Huntington, unleashing both thunder snow, a winter storm warning and continued caution concerning rising waters throughout the region. The combination has closed schools, including Cabell County, Huntington Junior College, St. Joe and most others. Marshall University and Mount West have a two hour delay. Described as a "clipper," the significant accumulation has followed two blustery days which left trees down and utilities interrupted. 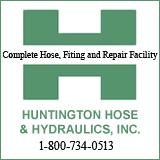 Huntington has a slippery coating of three to five inches with plunging temperatures, meaning travel should be undertaken only in emergency circumstances. However, the storm warning expired at 6 p.m. Friday morning, just in time for conditions to impact commuters. 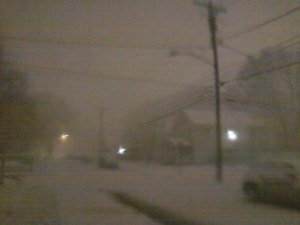 Snow barrels down in Huntington on a dark street missing a light. The winds continue leaving wind chills at or near the teens. At the same time, the Ohio River will be cresting Saturday evening at or near flood stage. 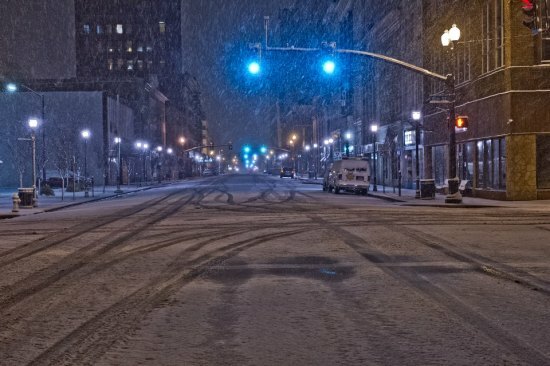 THE NATIONAL WEATHER SERVICE IN CHARLESTON HAS ISSUED A WINTER STORM WARNING FOR HEAVY SNOW... WHICH IS IN EFFECT UNTIL 6 AM EST EARLY THIS MORNING. THE WINTER WEATHER ADVISORY IS NO LONGER IN EFFECT. * SNOW ACCUMULATIONS... 3 TO 5 INCHES. * IMPACTS... UNTREATED SURFACES WILL BECOME SNOW COVERED AND SLIPPERY... CAUSING TRAVEL DIFFICULTIES. * WINDS... WEST 10 TO 15 MPH WITH GUSTS UP TO 30 MPH. * TEMPERATURES... FALLING THROUGH THE 20S. PLEASE REPORT SNOW ACCUMULATIONS TO THE NATIONAL WEATHER SERVICE BY CALLING TOLL FREE... 800-401-9535... WHEN YOU CAN DO SO SAFELY. THIS PHONE NUMBER IS FOR REPORTING PURPOSES ONLY. FORECAST TO REMAIN BELOW FLOOD STAGE IN THIS VICINITY. MORNING...EASING LINGERING BACK WATER ISSUES BY MONDAY. STAY AWAY FROM ANY STEEP RIVER BANKS...THEY COULD BE UNSTABLE. TEMPERATURES UPCOMING...RIVER BANKS COULD BECOME ICY. THEIR AWARENESS...MONITOR LEVELS AND FORECASTS MORE OFTEN.